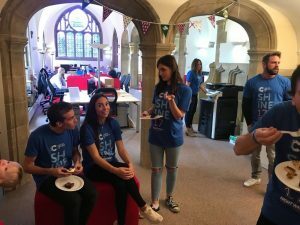 Grenville Court, previously known as ‘The House of Prayer’, became a hub of baking activity today as businesses came together to raise money for Cancer Ninja’s in aid of Cancer Research and MacMillian. 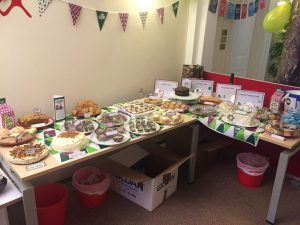 Less tech and more tea was the focus as VitrX employees spent their free time baking and running the event. More than 40 people attended and 23 plates of cakes, cupcakes, flapjacks among others were made! 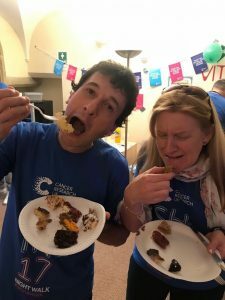 Well done to VitrX employees who won three of the categories, prettiest cake (Yasmin Alland), tastiest cake (Brooke Ryder) and best of both (Warren Nelson). More than £340 was raise throughout the morning and full tummies all round.